We can't do it without you! CPR Fund is seeking Foster Homes in the Lake/Porter County, IN and greater Chicagoland area to house foster dogs until they are adopted into loving homes. CPR Fund will provide all the food, supplies and guidance needed, but we need YOU to provide a safe, loving environment while these pets wait for adoption. You will be asked to accept the responsibility of transporting your foster to vet appointments and to either attend Adoption Days with your foster or deliver your foster to another willing volunteer on Adoption Days. You can be as involved in the adoption process as you wish, from screening potential adoptive parents to participating in CPR activities! How do I choose my foster dog? A few times a week an “inmate lists” is emailed to the group. These are dogs in immediate danger of being euthanized at local animal control facilities. Pictures and brief descriptions of the dogs in need are included in the email. If you see a dog you would be interested in fostering just let us know. What does CPR Fund provide for my foster dog? We provide you with a crate, collar, leash, food, treats, toys and anything else required to care for your foster. We also provide all necessary veterinary care (spay/neuter surgery, vaccinations, dewormer, heartworm and flea preventative, microchip, medications, etc) for your foster. The CPR Fund will also provide for any special needs specific to your foster- i.e. professional training, pet-sitting if you will be out of town, special diets, etc. Are these dogs up to date on vaccinations? Will he or she get my personal pets sick? As soon as we pull a dog in need they are given vaccinations for Bordetella (kennel cough), Distemper, Parvovirus, Adenovirus, Carona, Leptospirosis, Parainfluenza and rabies. The dogs are also dewormed and treated for fleas. However, there are no guarantees so your foster pet should have limited contact with your personal pet for the first two weeks. This will reduce the risk of disease transmission. Also, it is imperative that your personal pets be up to date on their own vaccinations before you bring in a foster. Finally, by keeping your pets away from your foster's feces and picking it up immediately you will reduce the risk of your pet being exposed to any intestinal parasites your foster may be excreting. Will he/she already be spayed or neutered? Usually, yes. However if your foster is ill, injured or less than 10 weeks of age your foster dog will need to be taken to one of our participating veterinary clinics for surgery when s/he is ready. CPR Fund pays for the surgery but transportation and caring for the dog post-operatively is a foster parent's responsibility. If you are unable to transport your foster, other arrangements can usually be made. What happens if my foster dog gets sick or injured? Immediately contact us about the illness or injury and get approval to see one of the veterinarians we use. Dogs MUST be brought to one of these locations or CPR Fund will not pay for any medical expenses. Will you know if my foster has any behavioral issues? CPR Fund cannot guarantee the temperament of any dog. The “in need” dogs are assessed by animal control officers and other volunteers but these dogs are there for such a short a time before they are scheduled to be put down, a thorough evaluation is usually impossible. We rely on their impressions of the dog and would never knowingly place an unbalanced dog in your care. We understand that these dogs will be living in your home and with your family and CPR Fund wants what is best for all involved! How long will I have my foster? Until they are adopted out to a safe, loving, forever home. This varies greatly depending upon the particular dog you chose to foster. Most puppies and small breed dogs will be adopted within a few weeks of coming into your home. Young adults of what the public considers “desirable breeds” will likely be with you only slightly longer. Older dogs and bully breeds can take many months to adopt out. 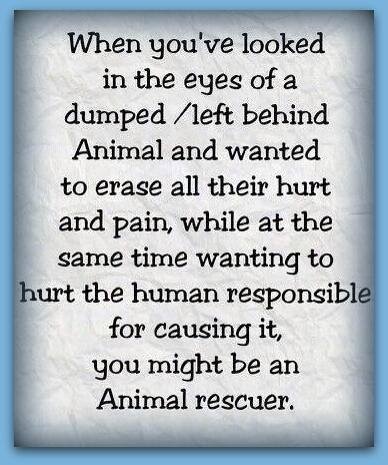 This is something to seriously consider when choosing your foster. Will my foster dog be housebroken? Sometimes. This is one of the many reasons CPR Fund provides for and requires that you crate train your foster. Crated dogs are much easier to housebreak! Most adults will catch on fairly quickly. Puppies and younger dogs require a bit more work. What happens if my personal pets and my foster dog do not get along? This is another reason we provide a crate. If after an adjustment period they just can’t learn to be friends, we suggest you “crate and rotate”. One dog is safely in a crate while the other gets his attention and exercise. Then you switch. Its not an ideal situation but not every dog will get along with every other dog out there. If there is a serious aggression issue it will be addressed and a dog may have to be moved to a different foster home. However, since we are not a shelter there is never an “extra cage open” to move your foster to so patience is required. You will need to crate and rotate until another foster home opens up or you can switch dogs with another foster parent. This can take some time. What are some of my responsibilities as a foster parent? First and foremost your job is to provide them with a safe and loving home! These dogs have been discarded and some have been neglected and/or abused. Your kindness and attention will make them whole again. We also need you to participate by providing photos and biographical information on your foster, corresponding with potential adopters, bringing your foster dog to scheduled adoption events, screening and choosing adoptive homes and transporting them to and from veterinary appointments. If your schedule does not allow for this level of participation, some of these responsibilities can be assigned to other volunteers. * You will need a valid driver's license and car insurance if you plan to transport for CPR Fund K9 Rescue. If you have any questions or would like more information please email Info@cprfund.com.